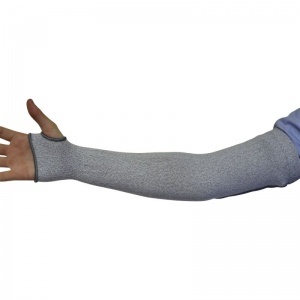 The Kutlass 18 Inch Sleeve K5-45TS (Half-Case of 50 Sleeves) is a cut resistant 18 inch sleeve, machine knitted from a carefully designed mix of HPPE, Lycra and other high tech fibres to provide cut level 5 protection. The thumb slot design of the Kutlass 18 Inch Sleeve K5-45TS and elasticated top ensure comfort and security during wear. 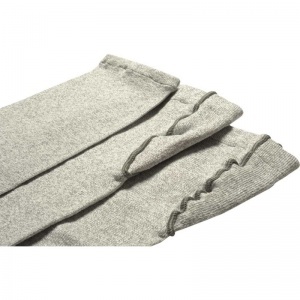 The excellent abrasion resistance provided by the Kutlass 18 Inch Sleeve K5-45TS makes this sleeve extremely durable and ideal for tough applications. These gloves are designed to be worn in conjunction with our cut level 5 range of gloves for the best level of protection.